A few other gift ideas - here, here, and here - all under $50. Suggestions for what to wear to a holiday party - here, here, and here. Those booties and the shirt are both gorgeous! 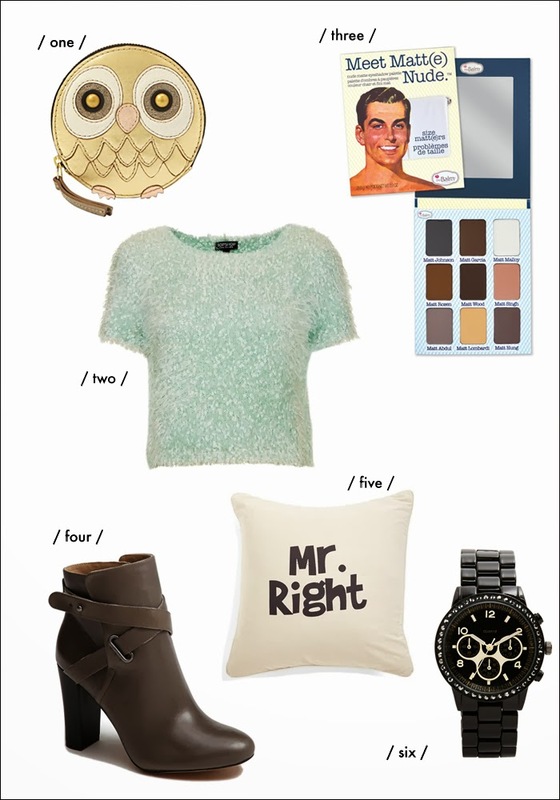 I also love the pillow, it would be perfect if they offer it for a Mr.
Finds & Deals: After Christmas Sales!